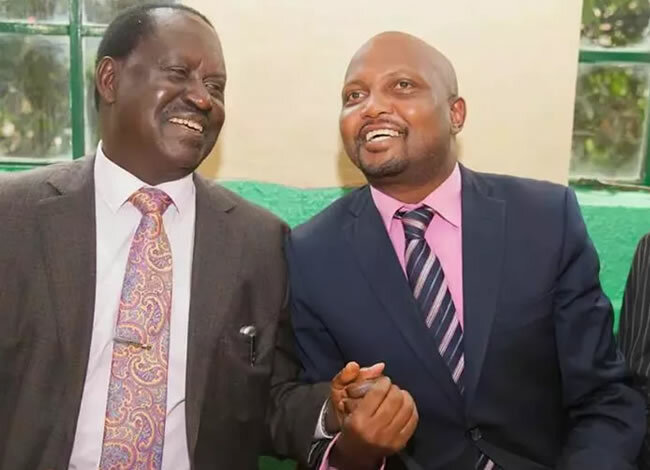 Gatundu South Member of Parliament Moses Kuria will be on the presidential ballot come election year 2022. Speaking to the Hot 96 Breakfast Show hosts; Jeff Koinange and Professor Hamo, the legislator said that he will take on Deputy President William Ruto for the Jubilee Party ticket. A confident Kuria said he believes that he will beat Ruto but does not mind offering him the DP’s position in his government. “I will vie for the presidency in 2022. I will be on the ballot. I can never go back to village jobs, I’m vying for presidency in 2022,” he said. Also on his list of most eligible candidates for the DP position is former Premier Raila Odinga and Makueni Governor Kivutha Kibwana. On Sunday the controversial lawmaker told Kameme TV that he will be on the ballot. Last week he posted an image of Democratic Party’s flag suggesting that he was leaving President Uhuru Kenyatta’s party. These allegations were however shut down by DP’s Secretary-General Jacob Haji. He asked Kenyans to ignore Kuria’s post.